Is your patio or entry door starting to show its age? 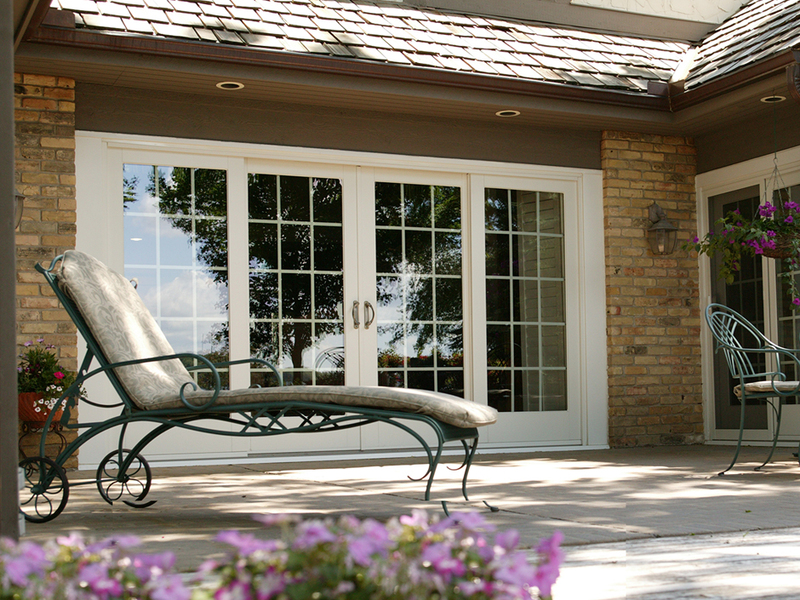 Renewal by Andersen of Wilmington provides homeowners throughout Northern Delaware with beautiful and energy efficient patio and entry doors that will add an elegant touch to your home. Our replacement doors come in both hinged and sliding designs with a variety of color and trim options for you to choose from. Replacing your doors with Renewal by Andersen doors will keep your home more insulated and increase your indoor comfort all year long. 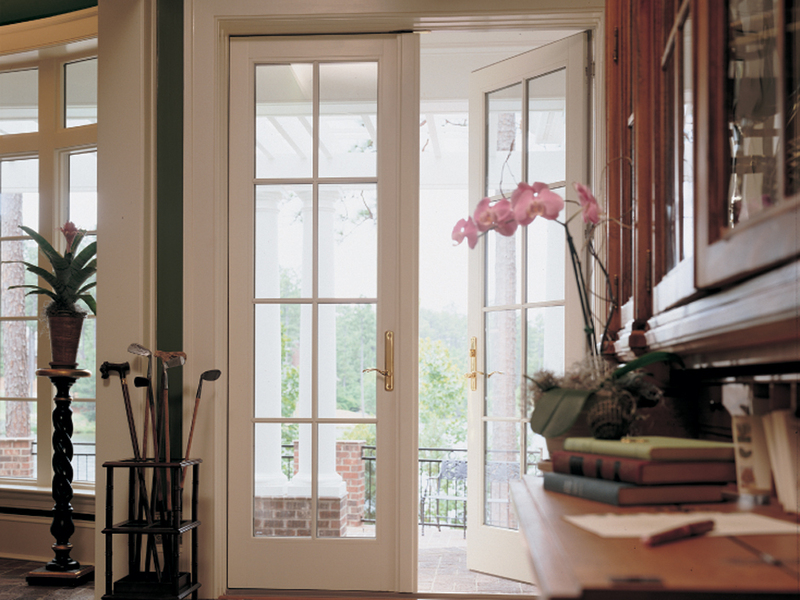 Each of our doors is custom made to be top of the line in terms of function and efficiency. That’s why we make each of our doors a custom fit your door frame specifically. 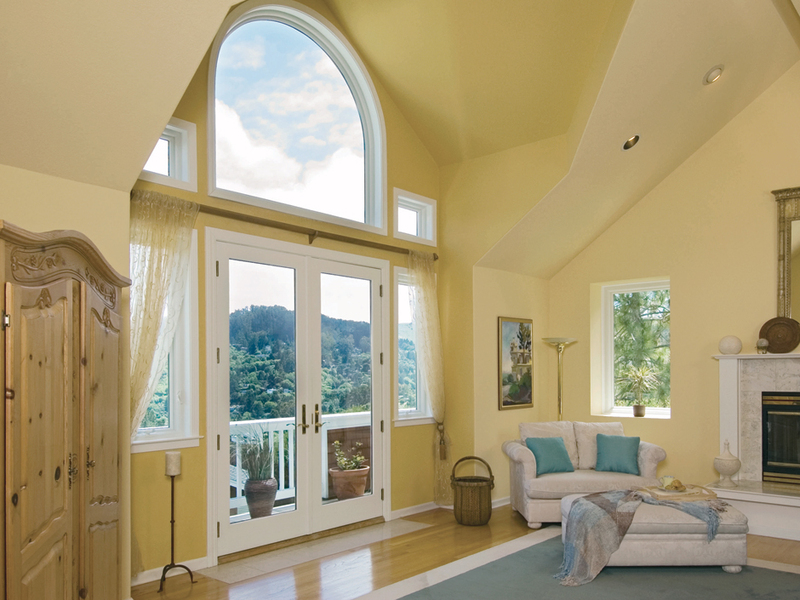 With a patio door from Renewal by Andersen, your home will be well insulated and draft free. Our specially engineered doors have extra weather-stripping at the bottom to maintain proper insulation for years to come. 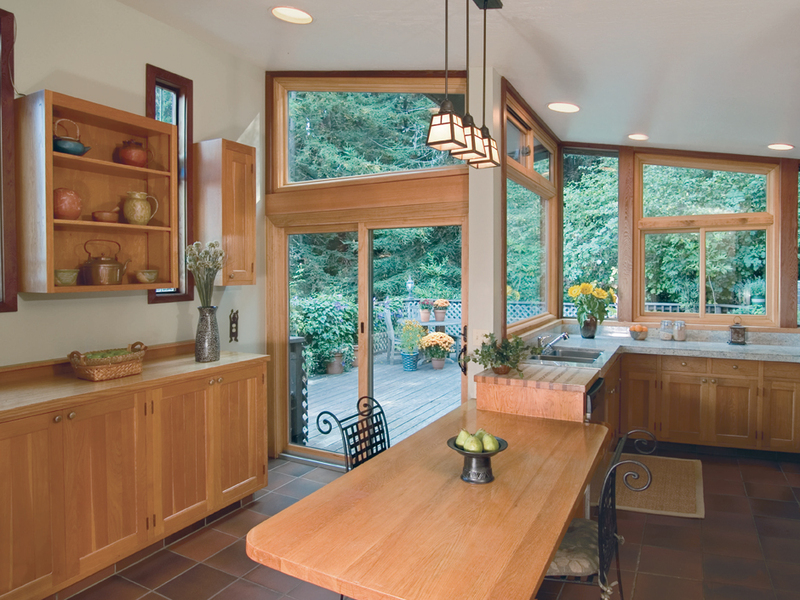 Avoid drafts throughout the fall and winter with a patio door from Renewal by Andersen. In addition to having the highest energy efficiency in the replacement door industry, we also offer a wide variety of color and hardware options for our patio doors. Each of our available colors has been chosen based on years of feedback from our customers to make sure that each color looks fantastic with a variety of different homes. 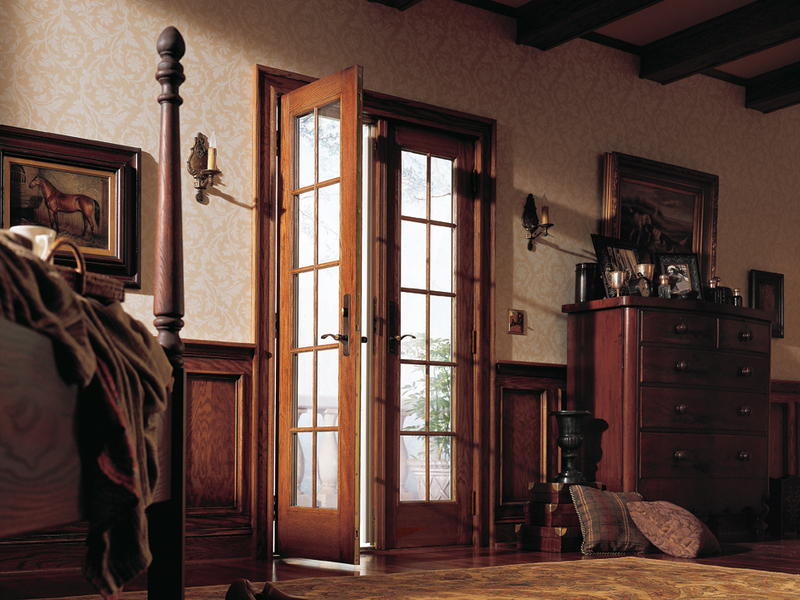 No matter how you style your door, it will add beauty to your home for decades to come. We take great pride in the fact that we build all of our replacement doors and windows from the strongest and most durable materials available. Our patio doors have the thinnest frames on the market, giving you the best possible view while still maintaining superior levels of strength. 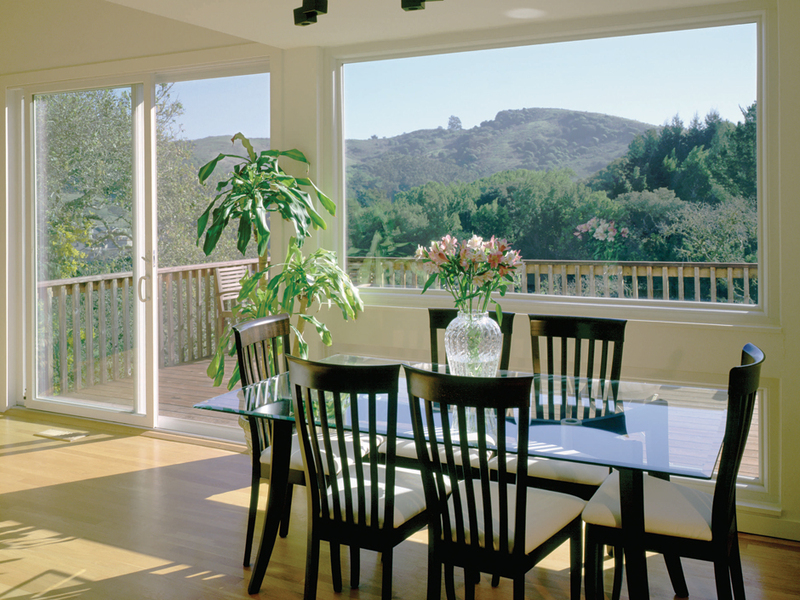 In addition to a spectacular view of the outdoors, your new patio doors will also let in far more natural light. If your sliding door is becoming difficult to open or slowly warping from the changing seasons, a new sliding glass or French hinged patio door could be the perfect upgrade for you. Unlike our competitors, we only focus on designing, fabricating, and installing the highest quality replacement doors and windows, so you can trust us to outfit your home with the best products in the industry. 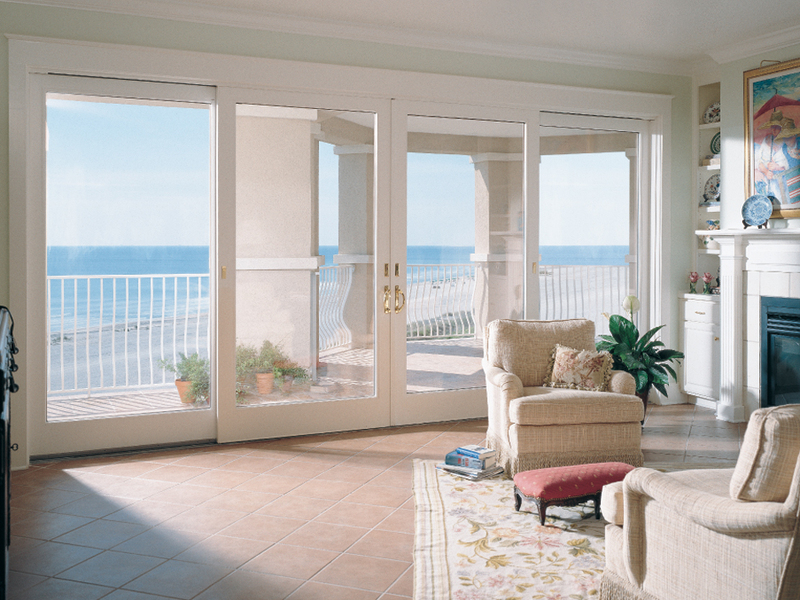 Our patio doors are all custom crafted with your home in mind because they’re made just for you. 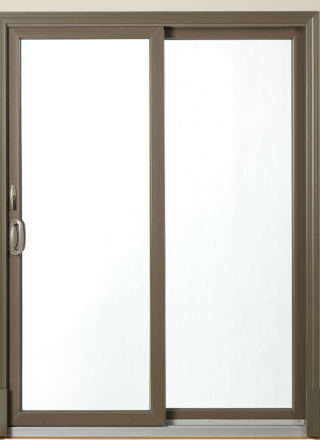 Call today for an estimate for a new hinged or sliding patio door in Wilmington today. 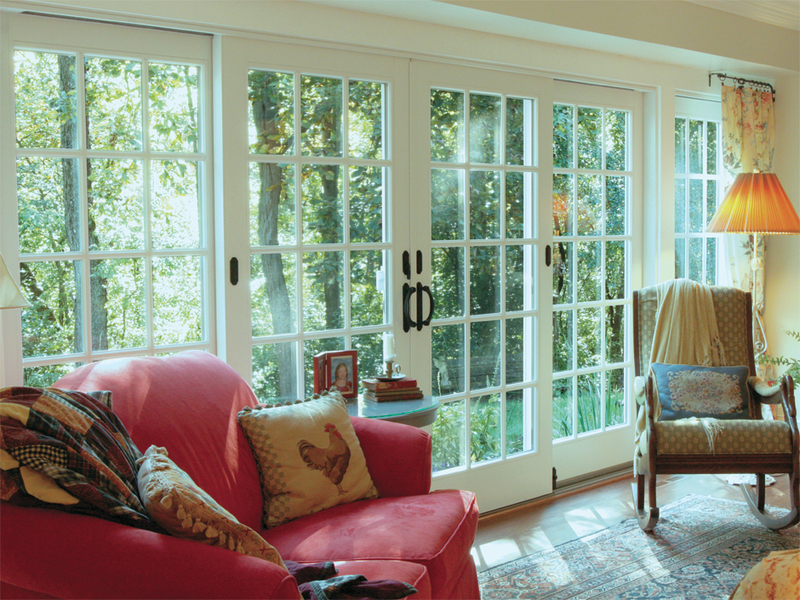 Our Hinged French doors are a classic style that we have updated to look great in any Delaware home. These doors create a beautiful entry way to your deck, patio, garden, or backyard. Our in-house designers and engineers have taken the traditional look of classic French doors and upgraded them with some of the most advanced technology in the windows and doors industry to create a modern door that retains a classic appeal. 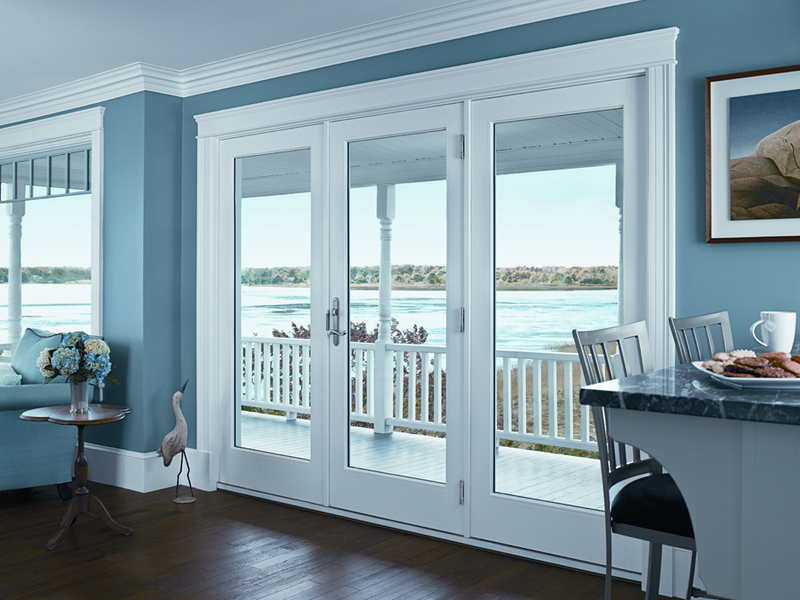 Renewal by Andersen French Patio doors feature a 5-point locking system to provide an added layer of security to your door, as well as maintain a perfect weathertight seal that will increase the energy efficiency of your home. 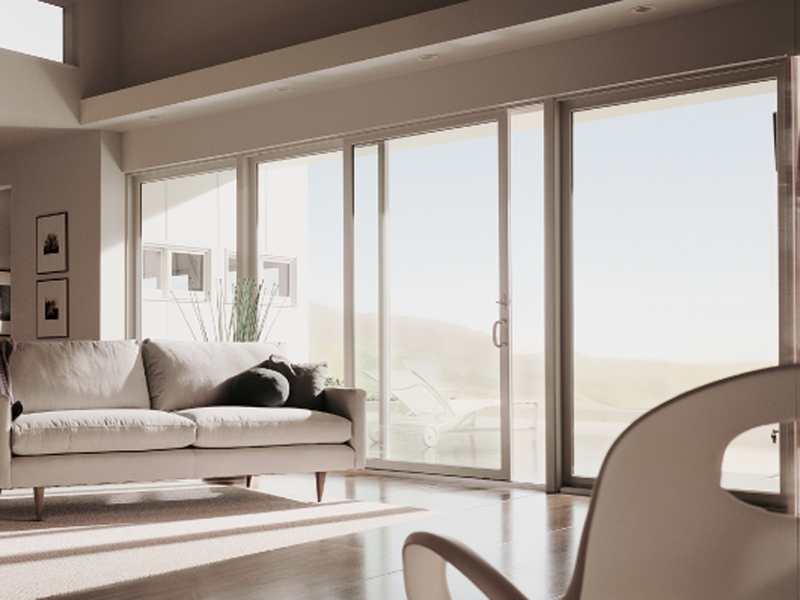 Contemporary sliding doors from Renewal by Andersen are a great option if you’re looking to save space. 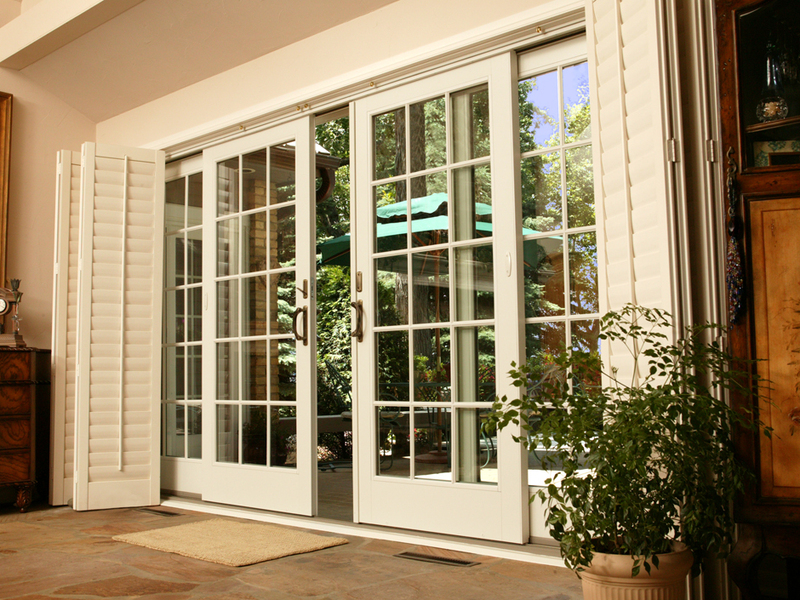 Our carefully engineered design allows for maximum glass area in a door that is both sleek and beautiful. Renewal by Andersen’s Narroline variety of sliding doors feature a natural pine interior that can be stained to match other natural wood in your home. 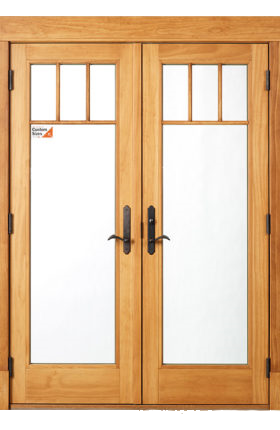 Our Perma-Shield line of doors have a low maintenance, rigid vinyl surface that protects an engineered wood core, for easy maintenance and lasting durability. Renewal by Andersen’s revolutionary Frenchwood doors offer you the all the benefits of a space saving sliding door, with the classic look of traditional French doors. If you’re looking for the perfect blend of style and function, Frenchwood doors from Renewal by Andersen are the right choice for you. Renewal by Andersen® patio doors always touch the floor without providing resistance to maximize energy efficiency for your home. The day of my installation we had a freak snowstorm. I was surprised that the installers showed up. They got there early and worked from about 7:45 until 2:30 in very miserable conditions. I had a couple of inches of snow on my deck. They were very careful about tracking snow in the house and making a mess, which was difficult because if they dropped a screw it got swallowed by the snow. They did a wonderful job. I have never dealt with a company that takes their job and my well-being so seriously. It is truly a pleasure to do business with you, not to mention that your windows are the best. Thank you so much!!! Satisfied. One glitch on replacing a defective window lock, but quickly remedied. Our installers were fantastic, and the cleanest crew we have ever had in our house. Go for Andersen. You will not regret it at all. You will feel satisfied with the final product. The quality, the service, the professionalism, I mean everything are above and beyond. Renewal by Anderson installation date, time & installation team updates provided via phone from the date of my order to the date of installation. All personnel with whom I communicated were very knowledgeable, efficient and pleasant (Project Consultant Steve Wolff, Door Tech Jim Smith, Door installers Nick and Jeff). No pressure was applied to obtain my order. I could not be happier with my experience.....and my new beautiful sliding glass door has given my home a new lease on life! Your sales & service people are informative, and very easy to work with. Their follow-up and knowledge were very professional. Your installers did a high quality job. All around excellent experience. Luke Songer was very knowledgeable about the products I chose and he had good suggestions in my decisions. He was very helpful after installation when the wrong color capping was put on. He was instrumental in remedying the situation quickly. The salesman that met with me about my choice was very professional, very understanding into what I wanted and needed. The two guys that did the installation were very well mannered and did a really nice job and cleaned up afterwards. Installers were prompt, neat, cordial, and provided instructions for operating the windows. They explained what their installation plan was and kept me updated on what they were doing. 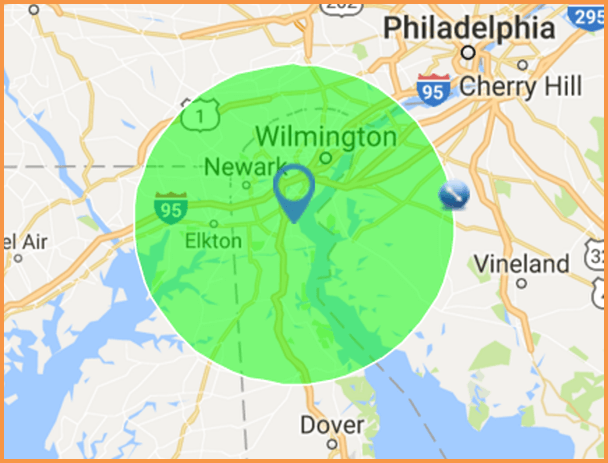 Renewal by Andersen is proud to serve Wilmington and all of Northern Delaware with the most energy efficient window replacements and patio doors on the market. Contact us today for a price quote on our start to finish window and door installation. 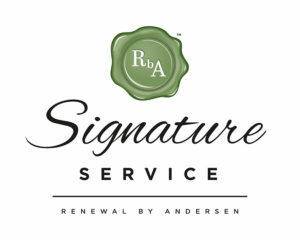 Renewal by Andersen comes to you with convenient consultations right from the comfort of your Delaware home.